The Hezayah Screenwriting Lab is designed to assist emerging screenwriters and writer-directors in developing and writing an original feature-length screenplay. Participants work in small groups with the support of experienced mentors. The lab consists of three sessions of five-day workshops, which take place intermittently over a period of six months. During each five-day session, participants are expected to work on all agreed assignments and reach key milestones as they build toward their screenplays. Strict deadlines must be followed, and participants will be asked to read and engage in the other lab attendees’ work. Participants will be selected on the basis of the strength of their screenplay idea, their writing ability, their vision and approach, as well as their previous work. Candidates who are shortlisted for the lab will go through a selection process, which will assess their potential to expand and develop their ideas into a passionate and compelling work of cinema. Each session takes place from 10:00 AM to 6:00 PM, including lunch and breaks. Participation is required for all five days of each session, as the work, sharing and learning build from day to day. The first session will begin with a brief introduction and pitching of the ideas followed by input and feedback from the other group members and tutor. Character and theme development will also be covered, as well as an overview of documents to be produced for the next sessions. This session will continue with a review of new and revised materials (the first scene-by-scene breakdown, or extended treatment). There will be continuous feedback and a revisiting of character and theme, adding to the discussion/further exploring a structural dimension (plot, resolution, inciting event, etc.). The second session will be a review of the new materials (revised scene-by-scene breakdown, revised character documents, etc. ), and a first draft or some written scenes from the revised breakdown. Visual research and other materials will also be reviewed with the premise and pitch further developed. Our final session will consist of feedback and input from the group and tutor on first drafts as well as scene analysis. This will set the trajectory for the next steps of the project concerning financing, casting, etc. The final Hezayah Lab will include a pitch session with an external panel. Participants will submit their written work to the panel members and present the project they have developed over the three sessions. The workshop is designed for screenwriters with a feature film in development. Participants must be from Qatar or the MENA region. International participants are required to make their own travel arrangements to Doha, Qatar. A screenwriter and script doctor, Joelle Touma started writing screenplays in 1998. At that time she was also a TV host and an actress in Lebanon. She then became the Beirut correspondent for the French daily ‘Liberation’ and the Belgian daily ‘Le Soir’, also working as a fixer in Lebanon with several media outlets. Since 2006, she has been dedicating herself only to writing screenplays. 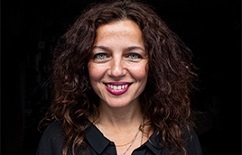 She has worked with Ziad Doueiri (‘Lila says’ 2004, ‘The Attack’ 2011 and ‘The Insult’, nominated for an Oscar for Best Foreign Language Film in 2018) and Rachid Bouchareb (‘Just Like a Woman’ 2011). She also wrote for ‘Le Bureau des Legendes’, a French series produced for Canal+ and is developing a new feature film with Ziad Doueiri. 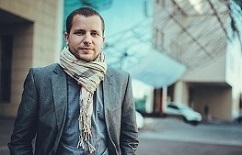 Born in 1982, Matthieu Taponier is a Franco-American script consultant, screenwriter and film editor. After studying Modern Literature in Paris, he completed a MFA in filmmaking at New York University’s Tisch School of the Arts. He was trained as a story editor by the TorinoFilmLab Script&Pitch program in 2013 and has been tutoring since in workshops such as Next Step, Biennale College-Cinema, and Le Groupe Ouest. He collaborated both as a script consultant and film editor on ‘Son of Saul’ by László Nemes (Grand Prix at Cannes Film Festival 2015, Oscar 2016 for Best Foreign Language Film), and as co-writer and film editor on Nemes’ second feature film, ‘Sunset’, to be released in 2018. Matthieu Darras is the director of the First Cut Lab that he co-founded in 2015. Previously, he founded & directed the European Network NISI MASA (2002-2012), and later on co-founded and was the artistic director of the TorinoFilmLab (2008-2018). 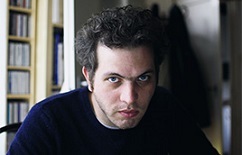 A writer for the film magazine Positif (1998-2016), Matthieu Darras has been working as festival programmer, notably for the Cannes Critics’ Week (2005-2011) and the San Sebastian Film Festival (since 2010). 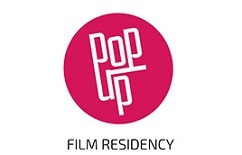 He recently created the Pop Up Film Residency.